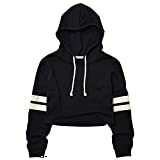 Fashion Hoodies & Sweatshirts - 72 - Blowout Sale! Save up to 55% | What Should I Say? Blowout Sale! Up to 55% off on Fashion Hoodies & Sweatshirts at What Should I Say?. Top brands include Lock and Love, DJT, adidas Originals, Gildan, Yidarton, PRETTYGARDEN, levaca, Lyxinpf, FAYALEQ, SweatyRocks, Romwe, Perfashion, Minibee, MOOSUNGEEK, Asvivid, EIFFTER, GSVIBK, AlvaQ, Dearlovers, & Indrah. Hurry! Limited time offers. Offers valid only while supplies last.